I just received a truly lovely photo of my farmhouse which was taken by one of my (wonderful!!) neighbors – and I decided to share it with you! My farmhouse was built around 1888 – before the time when there were “bathrooms” in houses. In honor of those days, I have a old “chamber pot” in my master bedroom. 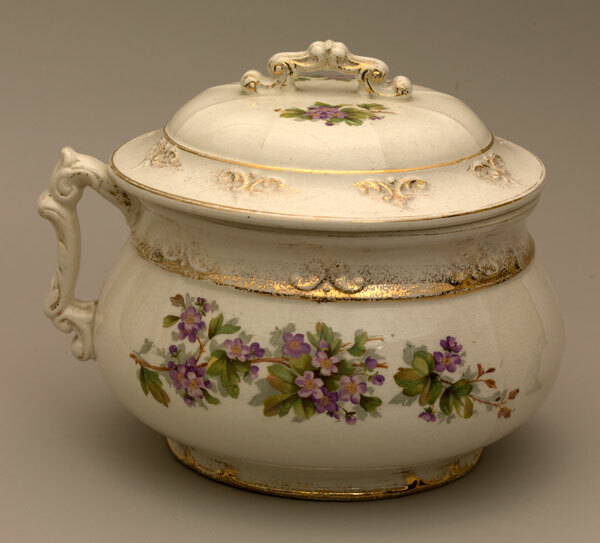 For those of you who’ve never heard of a chamber pot, they were often made out of china and looked a bit like a soup tureen…..
I’m not exactly sure when, but a proper bathroom was installed in the house where the back stairs used to be. So, it seems, they lost the convenience of having back stairs, which went from the kitchen to the second floor, but…. they no longer had to use chamber pots or the out house!! This property was a working farm for almost a century. In fact, as late the 1970’s there were still horses in the barn here at My Yellow Farmhouse and chickens in the coop. But, as so often happens, the land was gradually sold off and houses were built until the property was a farm no more. I believe I’ve achieved my goal of keeping that cozy farmhouse feeling both inside and out. 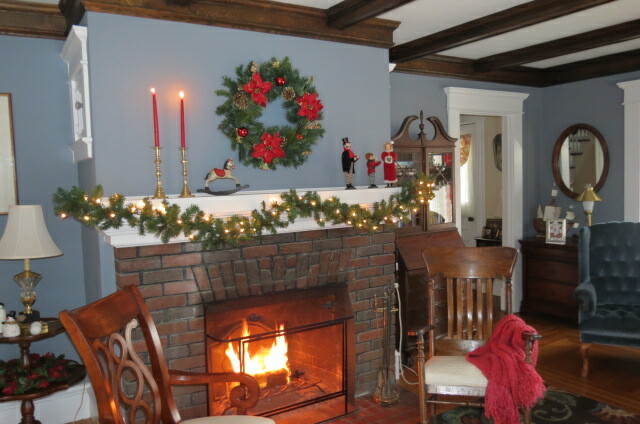 For example, here’s how my home looks during the winter holidays. 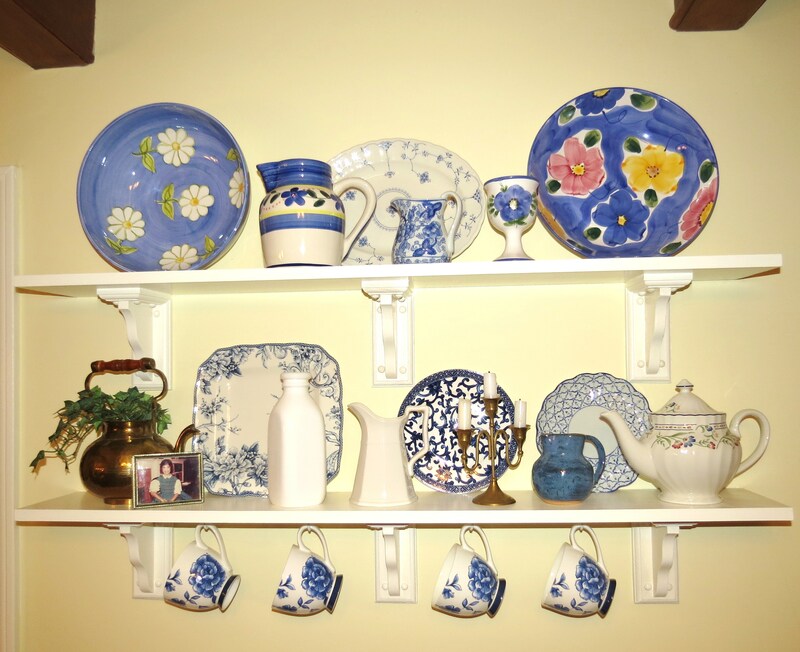 My kitchen, which I decorated with Provence, France in mind! 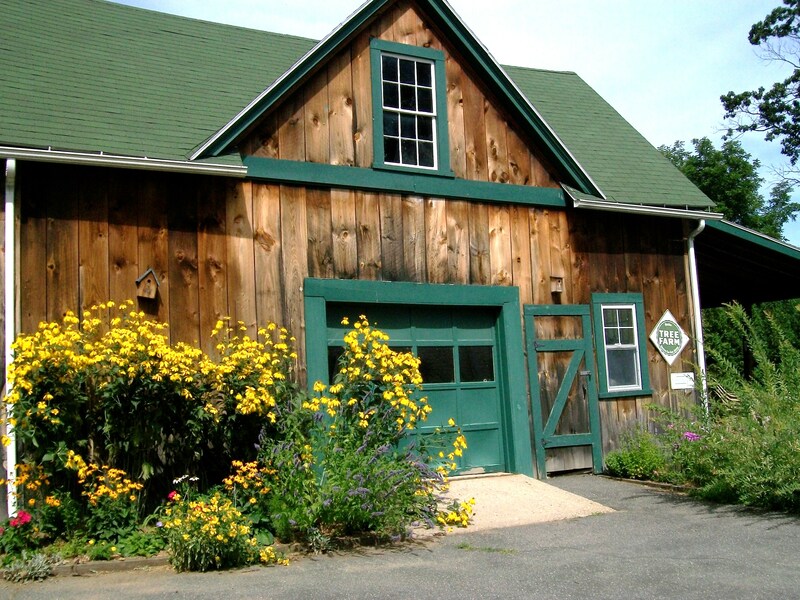 And here’s a photo of my barn in mid-summer. I love, love, love my old yellow farmhouse!! LOVE! LOVE! LOVE! Your House 🙂 Your Awesome, as well! Great Picture!